Universal Pictures' new suspense thriller “Ouija: Origin of Evil,” the follow-up to 2014’s horror hit “Ouija,” opened in the US with a spooky $14.1 million at the box-office, a smash return given its $9 million budget. The film bows in the Philippines this Wednesday, Oct. 26. Universal distributed the Blumhouse production, which got markedly better reviews than the original. The first film in the series kicked off to $19.9 million before going on to make $103.6 million globally. Platinum Dunes and Hasbro produced the board game adaptation. “Origin of Evil” is set in the 1960s and centers on a scam seance artist who unwittingly invites evil spirits into her home. Universal believes the film will benefit from the Halloween holiday next week. “Based on the fact that we’re the only wide release horror film on Halloween, we’re expecting to hold well,” said Nick Carpou, Universal’s domestic distribution chief. Also factoring well for the sequel's future box-office prospects are the positive reviews from critics, who gave “Origin of Evil” an 82 percent Fresh Rating over at Rotten Tomatoes review-aggregator site. 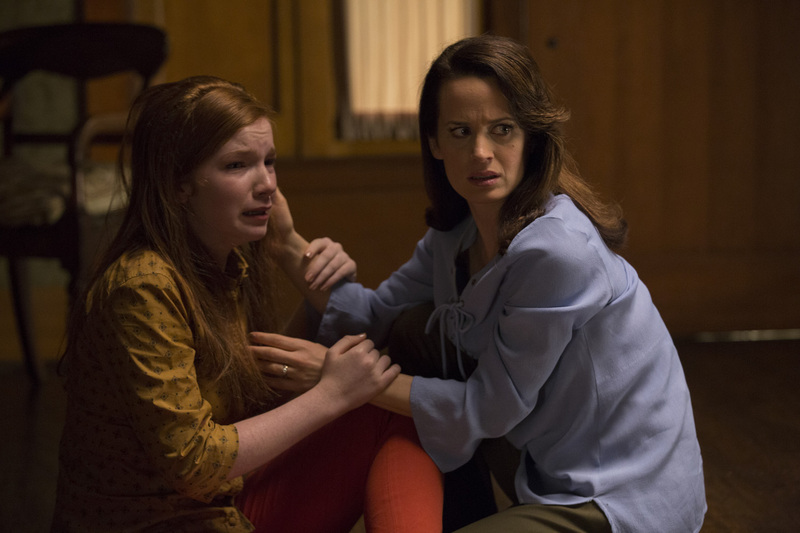 In the terrifying new tale and the follow-up to 2014’s sleeper hit Ouija, a widowed mother named Alice Zander (Elizabeth Reaser) and her two daughters Doris (Lulu Wilson) and Lina (Annalisse Basso) add a new stunt to bolster their séance scam business and unwittingly invite authentic evil into their home. When the youngest daughter Doris is overtaken by the merciless spirit, this small family confronts unthinkable fears to save her and send her possessor back to the other side.